One of my favorite meals all summer long is herbed turkey burgers that I make on the grill. I usually make 4 – 6 burgers just for myself and eat them all week. I forgo the bun and just eat them dipped in a little mayo with a side of veggies and then pat myself on the back for eating so healthy. I’ve been craving the burgers lately but since winter just won’t leave I haven’t been too excited about firing up the grill. So instead I got to thinking about a way I could make these in the crockpot instead! 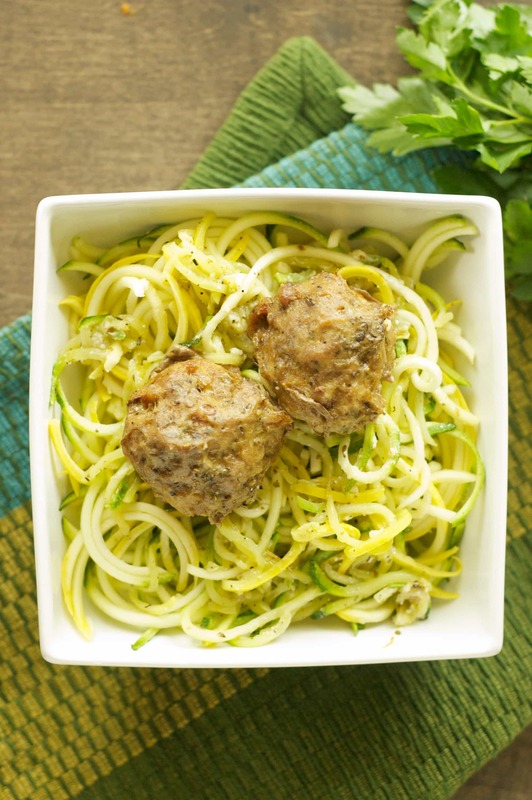 to make noodles out of a zucchini and a yellow squash. 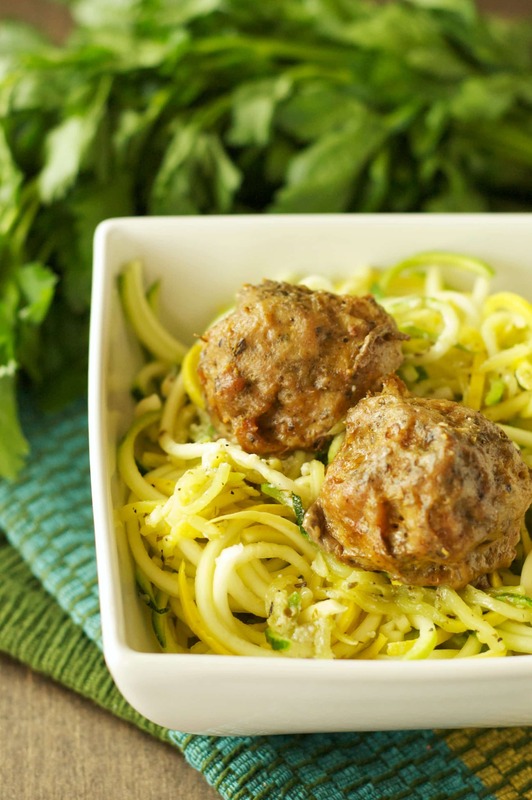 Super fast and super duper tasty! Saute the “noodles” for about 3 minutes and you’re done! 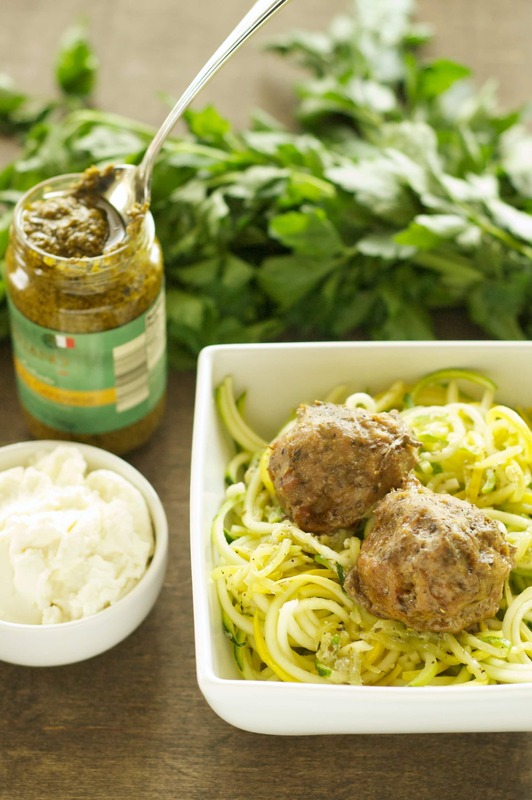 Top it all off with a dollop of ricotta cheese and pesto sauce. 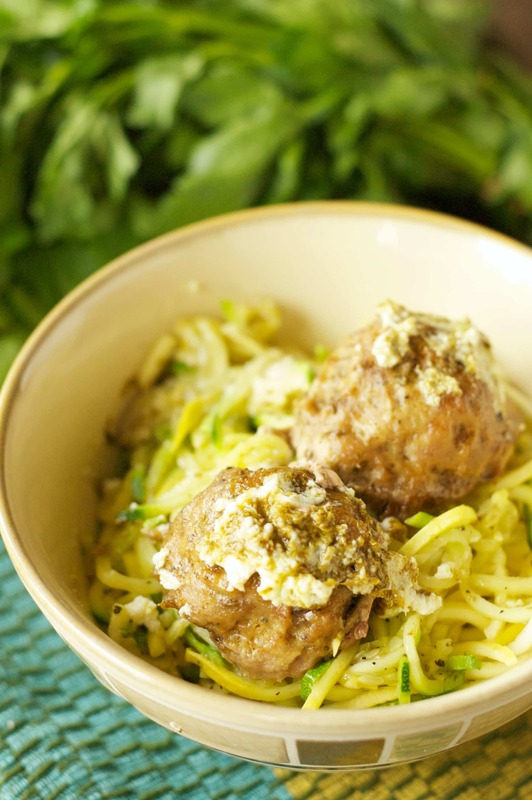 Mmmmmm, a super easy, tasty and healthy meal. What more can you ask for? If you don’t have a spiralizer you could also just julienne the squash or just slice them very thin before you saute them. 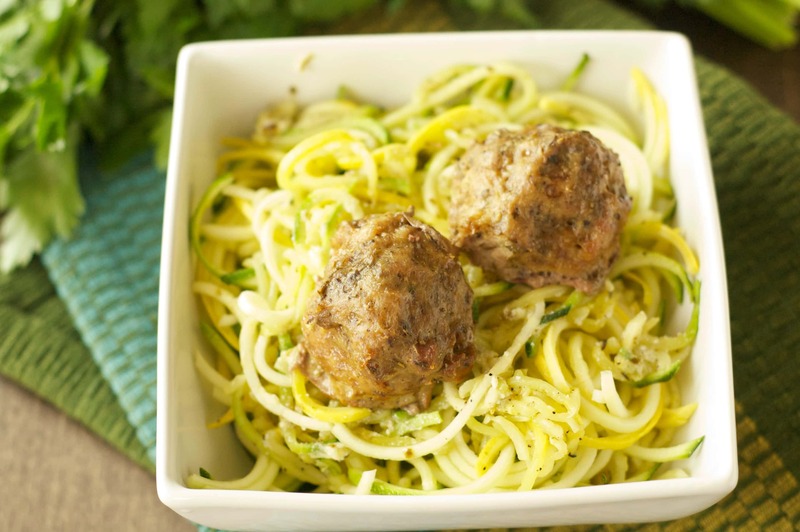 But the twirly noodles you can make with the spiralizer make it so much fun! My kids called them noodles and gobbled them all down. Beautiful dish – definitely pinned! 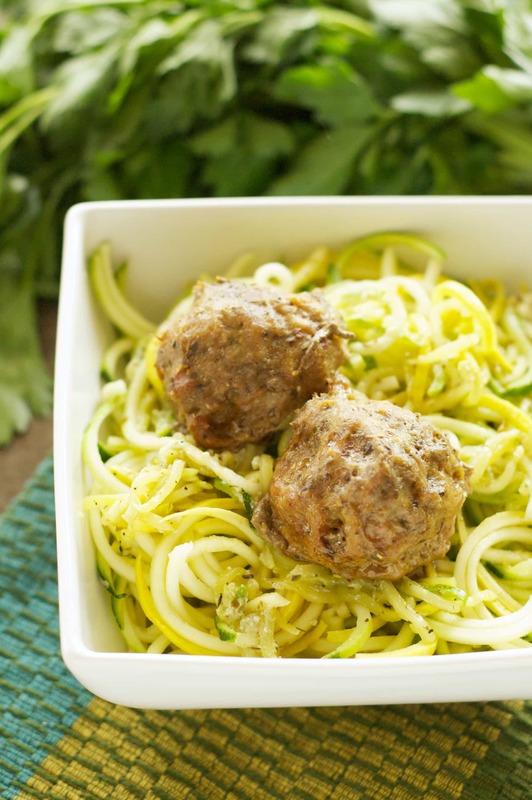 Love meatballs and zoodles.